The SSML of Padua is able to offer both translation and interpreting services and the required assistance for the certification and authentication of every document (certificates, personal data, proxies, judgements, quotations, degrees, testaments, company statutes, contracts, vehicle registration documents, driving licences and others). The certification (oath of translation) is the translator’s official evidence that declares the translation they have made corresponds to the original one. The translator is supposed to personally bring the certified copy or the photocopy of the document and the relevant translation that has to be certificated. The sworn statement (completed in full, signed by the appearing party, registered or not in the Roll of the Court, as per article 483 p.c.) is added to these documents. Certificating a translation is a public act of the Court Registry’s competence. For the certification, a payment is required for the registry tax by means of stamp duties. A revenue stamp of 16,00€ every 100 lines has to be put on the translation, starting from the first page or every 4 pages (this means on the first page, the fifth, the ninth, the thirteenth etc.) including the sworn statement in the calculation. 100 lines correspond to the traditional foolscap sheets that have pages with 25 text lines. A revenue stamp of 3,84€ shall be put on the sworn statement. Translations free of stamp duties are required by law to contain the provisions of the exemption law in the sworn statement. The authentication, which concerns acts and documents to be submitted abroad in countries where there are not international pacts containing the authentication exemption, consists in the evidence of the public officer’s legal status who has signed (in full) the document, and in the signature authenticity. Attorney offices – in whose district the Public official who dreawn up the act is based – are competent for the notary and judicial office acts. The Prefecture – Territorial Government Office – is competent for all other administrative acts. The competent office verifies that the signature on the document to authenticate has been recorded in a specific Register situated in the same office. The apostille annotation replaces authentication when documents made in the State have to be produced in the territory of one of the States that have signed the Aja Convention of the 5/10/1961 (abolishment of foreign public acts’ authentication) or that accepted it later. Sometimes, the attorney of the court may be necessary to authenticate the Chancellor’s signature. This may be followed by a second authentication in the foreign competent Diplomatic Mission or Consular Office of the Requested State approved in Italy. Since the subject is exclusively regulated by the law of the State of destination, it will be necessary to verify in advance both the probability of admission of this translation modality and the necessity of one or both fore-mentioned authentications. It is recommended to get information in the competent Diplomatic Mission or Consular Office, individuated by the Italian Ministry for foreign Affairs’ lists. With regards to the States participating to the Aja Convention of 5th October 1961, the double authentication is replaced by the apposition of Apostille. The competence of such activity is of the Attorney of the Court. The exemption provided by the Apostille is valid in Belgium, Denmark, France, Germany, Ireland, Latvia, and Hungary. 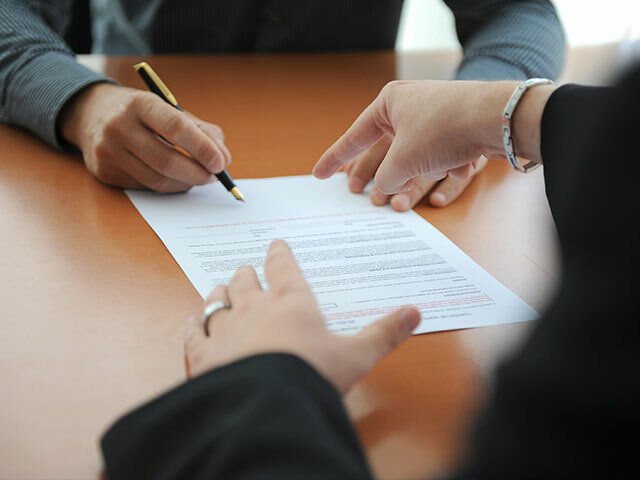 There may be other cases of exemption, within the meaning of international agreements and conventions or sector – specific community legislation, so gathering information in advance may be required. Our translations are the result of a tight-knit teamwork, which is essential to guarantee a quality product.